Let’s talk about stereotypes. You hear the word “dog” and what comes to mind are images of strong, long-snouted furry animals that serve as the guard of your house. Their mission is to scare and ditch strangers, and possible burglars away from your home by barking out loud, even furiously. Then, on some days, especially holidays and weekends, you take a dog out in the morning sun as your jogging buddy, because you have no other companion. That’s the way we used to think of these loyal companions. Some things just don’t stay the way they are. Around 15 years ago, the canine world started to change. Finally, canines don’t have to be the same old kind of dog that simply bark at people by routine to protect its master’s home. Back in 2000, we welcomed the so-called teddy bear dogs in our lives, the utterly adorable, mellow creatures that are so sweet, and affectionate to their masters. Matching their temperament, these cuddly pooches look like quiet giant cotton balls or big cotton candies, or in short – they look like toys. The only difference is that they are alive, and moving in cuteness overload. Ready to see some? Check them out! Watch his dark, rounded eyes caught by the camera that tell you how much he shows off his cute froggy pose, and he can’t believe you fell for that. 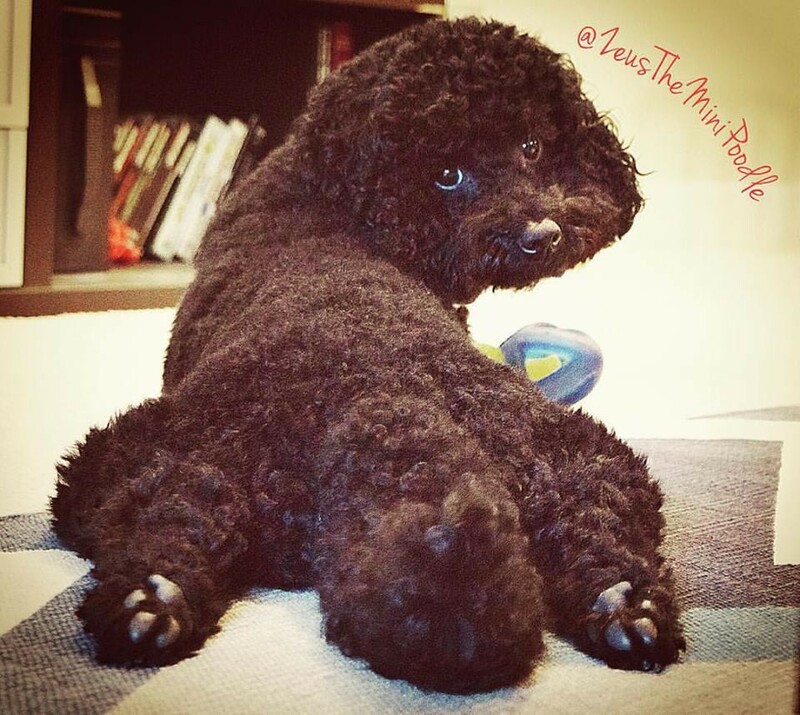 Wait, is Zeus even a real poodle, or is he a stuffed toy? Now, it’s giving you quite a confusion. But, of course, Zeus is a real pooch. Just a little sad thing, somebody owns him already. He’s taken, and definitely not for sale. No worries though, his pictures are free to look at. Go visit his Facebook page and see for yourself how much he likes the camera. 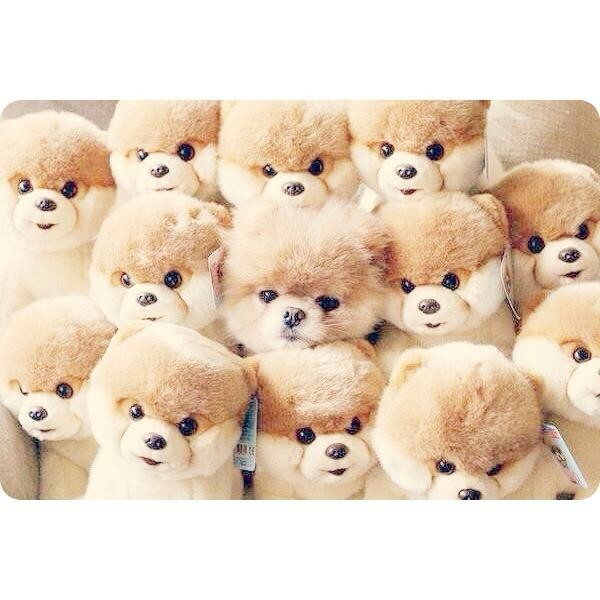 It seems that this pooch is playing hide and seek with its master. What a witty idea to hide yourself in the open little buddy! Perhaps, at first glance, the master wouldn’t find the real one. But take a closer look. 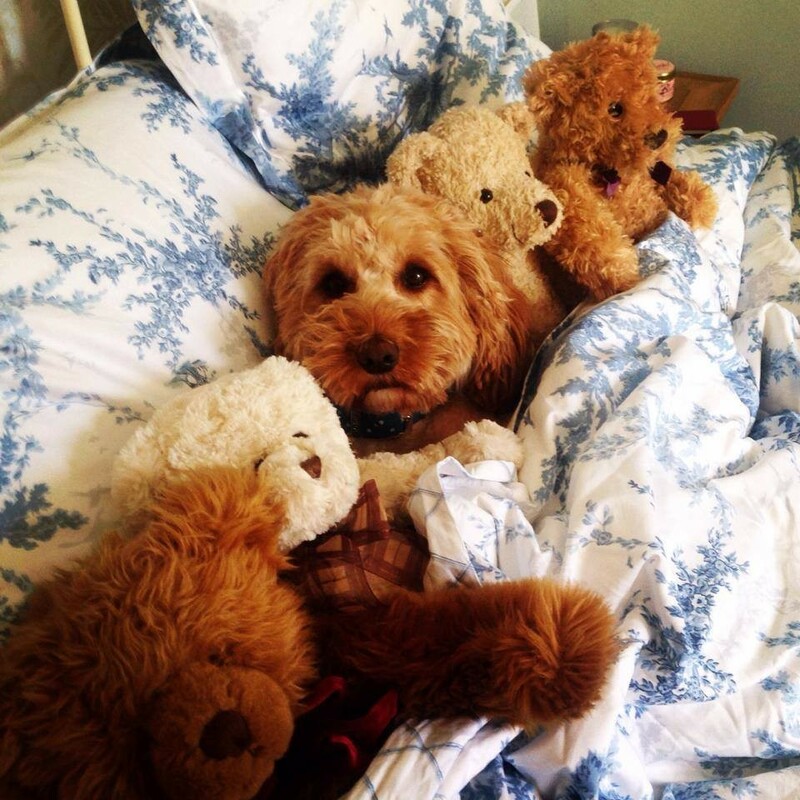 Carefully examine these bunch of five cute teddies on the bed, because one of them is not a toy, but a real dog. Now, you see it with your own eyes? Yes, you are right. It’s right there in the middle, nestled among its look-alikes. Go give the awesome little creature your warmest hugs. Calling all girly girl ladies who want to be a pet parent. This one’s a great pet for you if you are longing for that day when you can exercise your best girly grooming and fashion skills to someone else. 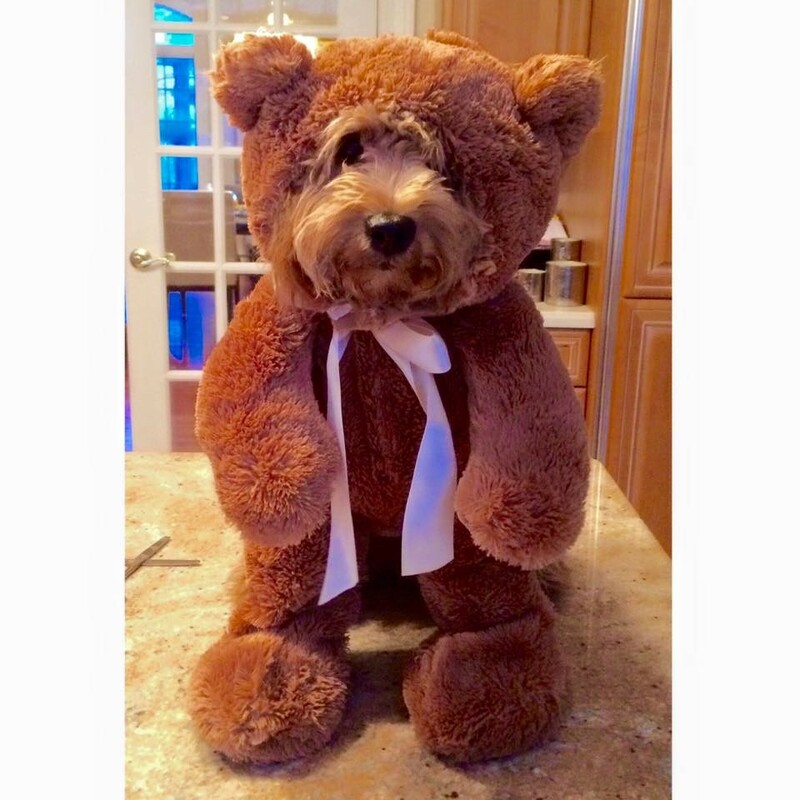 Why not do it to your teddy bear dog? 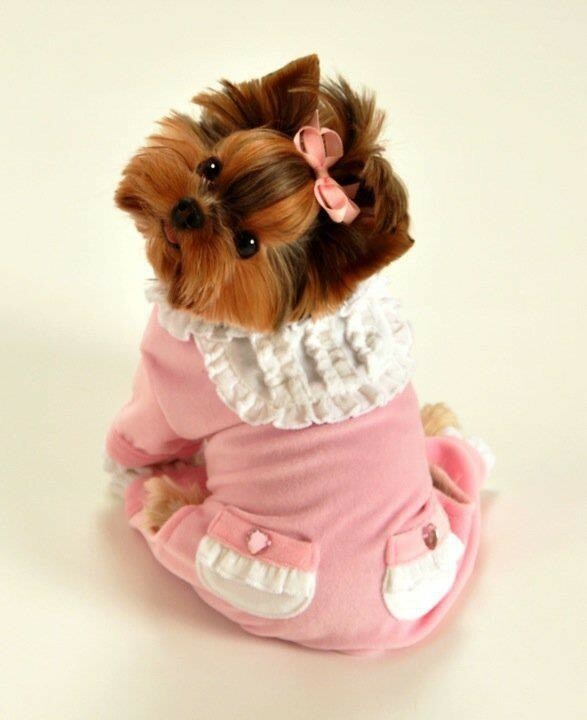 Cute outfits plus nice ribbons would definitely give your pooch a winning chance in the ultimate pet fashion show. Add more charm to an already eye-catching doggie. When everything’s done and you’re all set, there’s nothing left to do but to do a day-long photoshoot. Hold on. This dog in the picture is really a dog right? Just clearing things up! 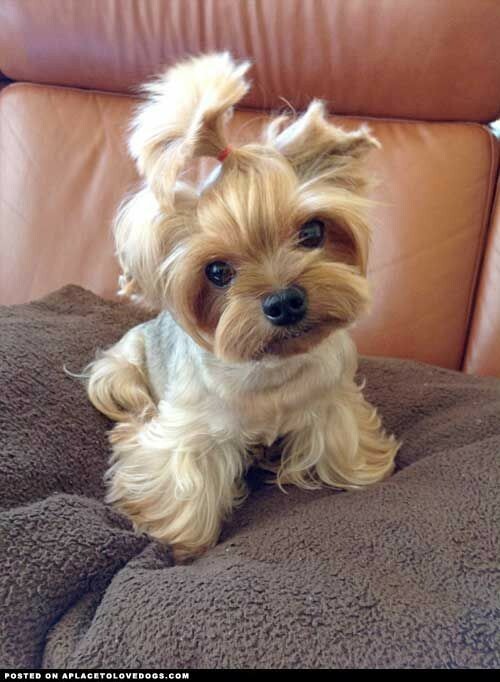 Perhaps the owner of this pup perfectly understands how annoying it is to have long bangs that irritate the eyes. That’s why the annoyance led to a fountain on the pup’s head. And bam! It was perfect for a photoshoot. 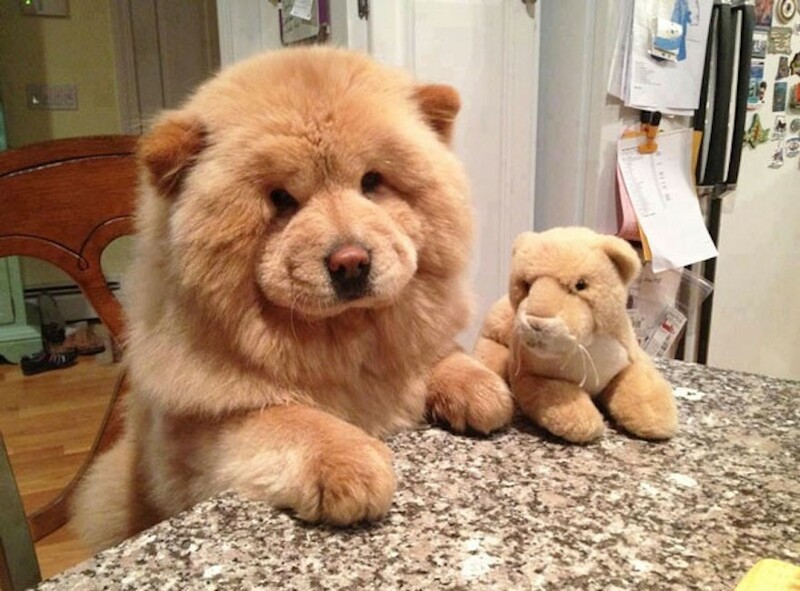 You as an onlooker though, has nothing to do but have a good laugh or a big smile as you watch how much this pup looks like the stuff toy you wanted to buy from the mall. A brilliant idea from this photo? It would be a whole lot better if you take a picture with your pup in matching hairdos. So, have you figured out how the story goes between this seemingly identical twins? Finally, they found the way back to each other’s paws. Unfortunately, doggie and the real teddy wouldn’t be able to converse with each other as much as doggie wants to, because the real teddy’s so quiet. Why you so serious little fella? Maybe this pooch got some pretty serious thinking, figuring out why on earth do people continue to call him teddy from the toy store, when the fact is clear to him—the fact that he is born a dog and not a bear. 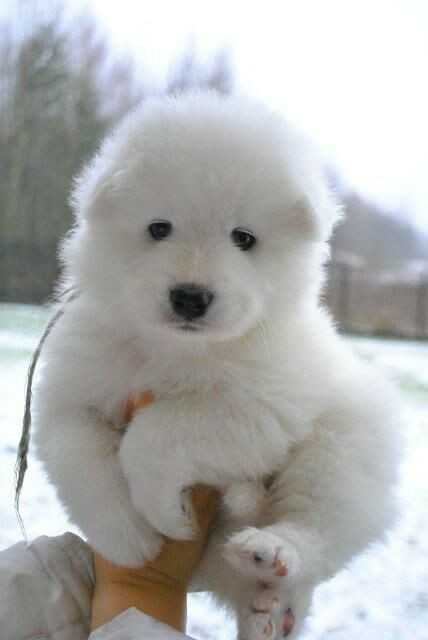 Who wouldn’t think of this pup as a fluffy, huggable bear? He really looks like one. Nobody would deny it. But hey, little fella, stop being sad. We do believe that you are a dog and not a teddy from the store. Now, here’s what really looks like a teddy bear because of the nicely made costume. What’s up with that style? Go let somebody fall for that prank. Somebody would surely do. Just be quiet though. As white as a snow, as soft as a cotton ball. This is what and how it feels to cuddle a pup like this. 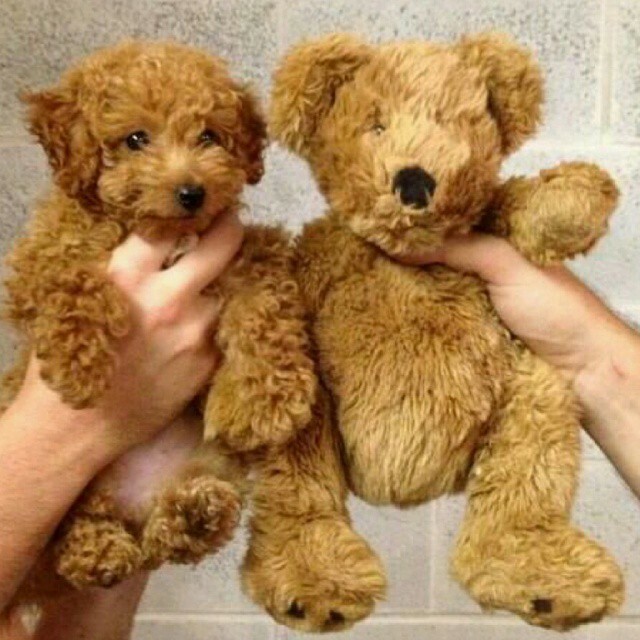 But unlike the cold snow in the winter season, this teddy bear dog will surely give you so much warmth and love. Oh yes, it’s very difficult to spot the difference. They all look perfectly the same! If there’s a contest on who’s got the best hugging buddy, this guy would probably be the champion. 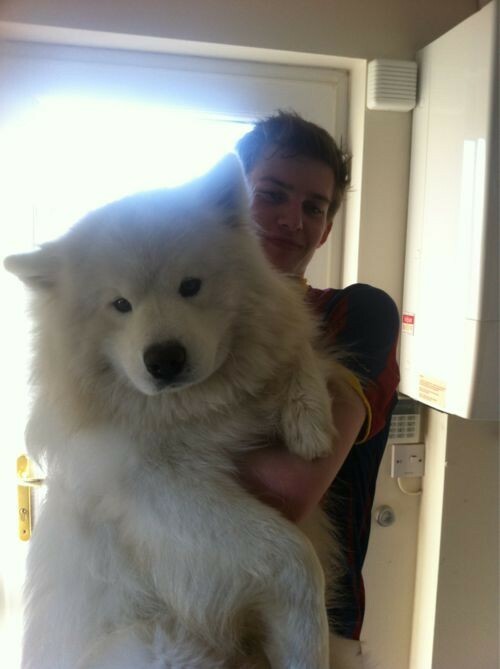 His really huge furry dog deserves to sleep on the bed and deserves to be hugged so tight. Yes, so much have changed in the wonderful world of dogs. 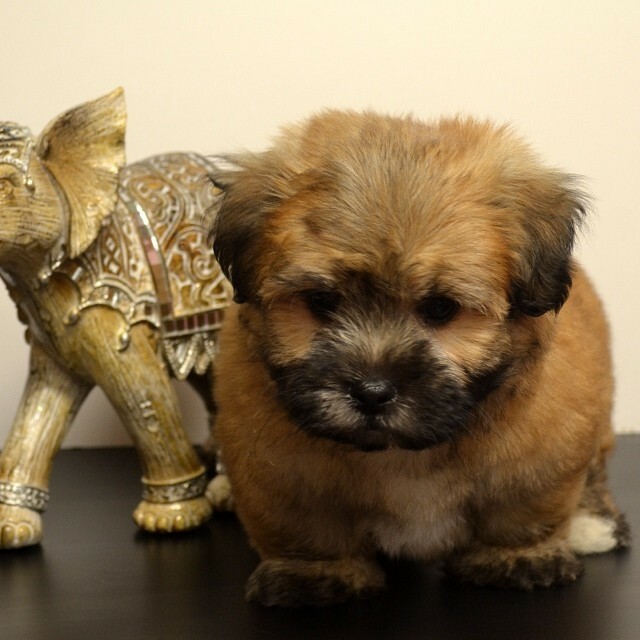 Teddy bear dogs are not just merely companions, but they are your photography’s next top models. Also, the best reason for having them is their great temperament and unique qualities you can’t find in just any other kind of dog.